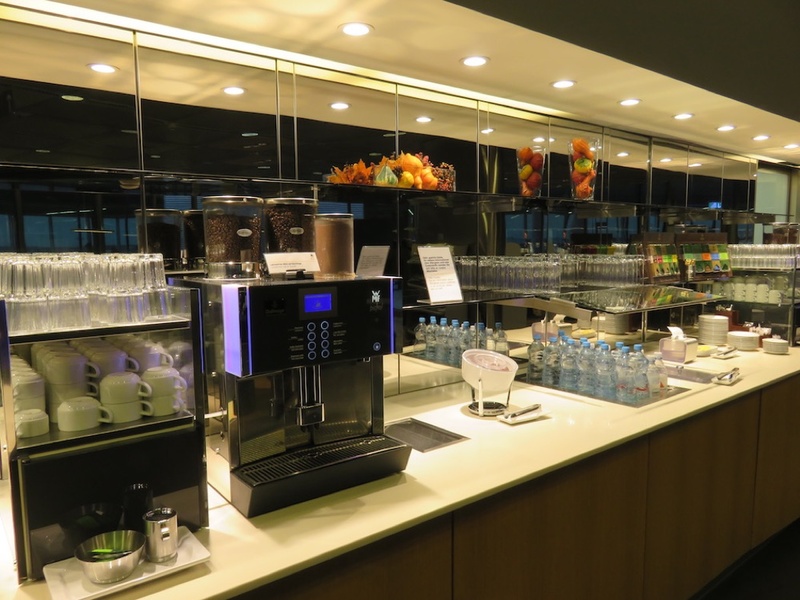 Lufthansa has more than 10 lounges at its hub in Frankfurt Airport, and this review and photos covers its lounge near gate B24 in Terminal 1 (non-Schengen area), which is close to the Condor boarding gates for the Condor Business Class flight I was about to take to the Seychelles. 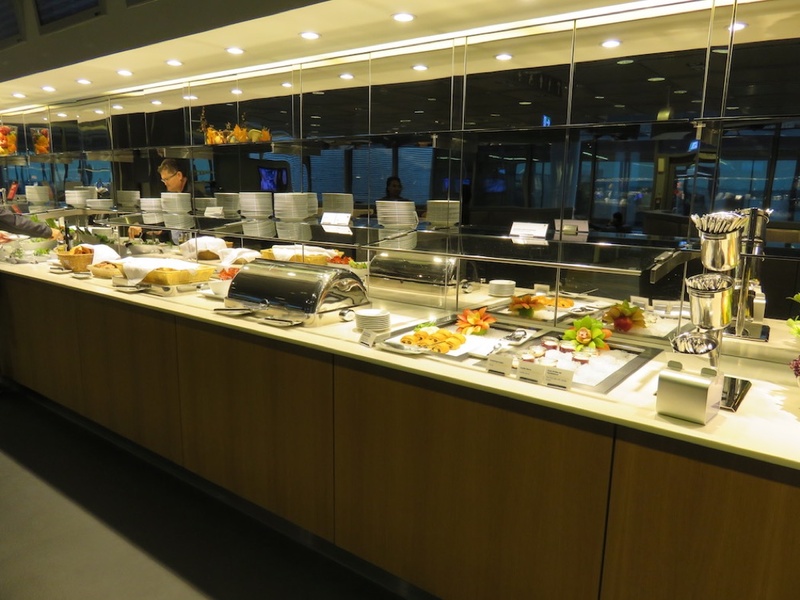 The lounge is located up a spiral staircase, one floor above the terminal’s main concourse. Boarding passes are checked by a security point below the staircase. 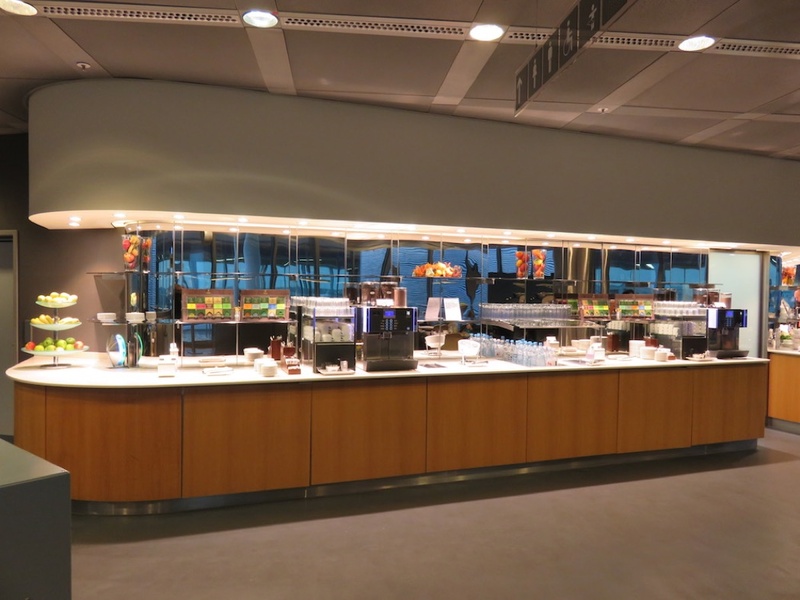 The lounge itself is quite large and has the size of a donut: the food stations are placed at the centre of the donut while the seating areas make up the outside of the donut. 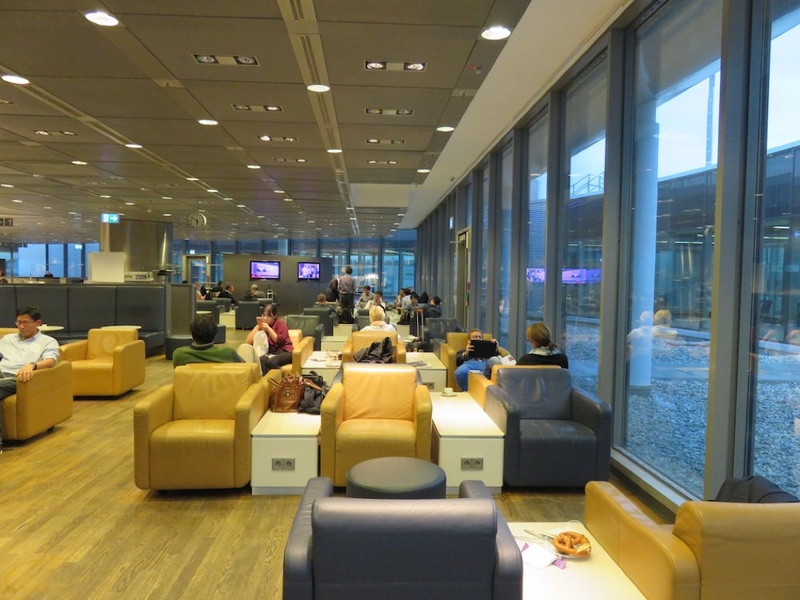 Although the lounge itself has large floor-to-ceiling windows, it does not have a view to speak of, since there is a large corridor between the windows and the tarmac. 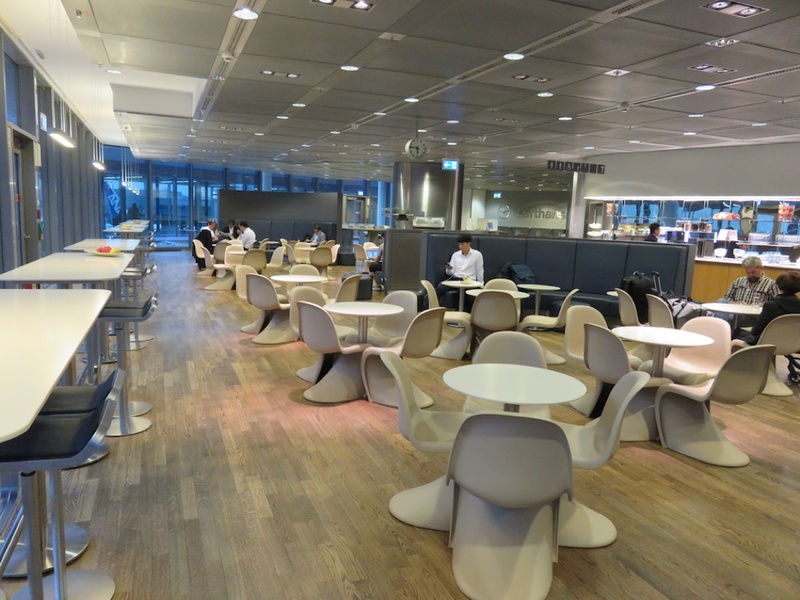 The decor, with its soft and relaxing colours, has a corporate, contemporary look, featuring a combination of designer seats and more comfortable loungers. 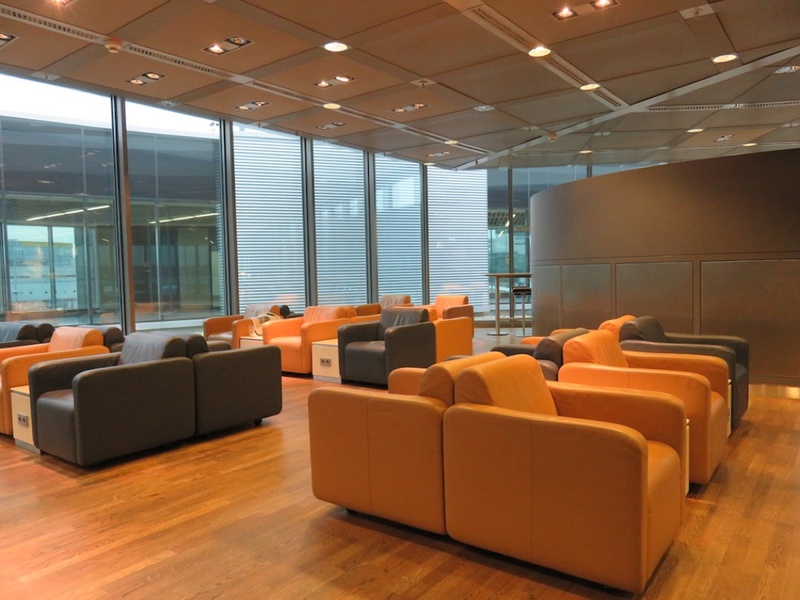 The lounge has been built with the business traveler in mind, since large portions of the space feature tables with power outlets and small work cubicles. 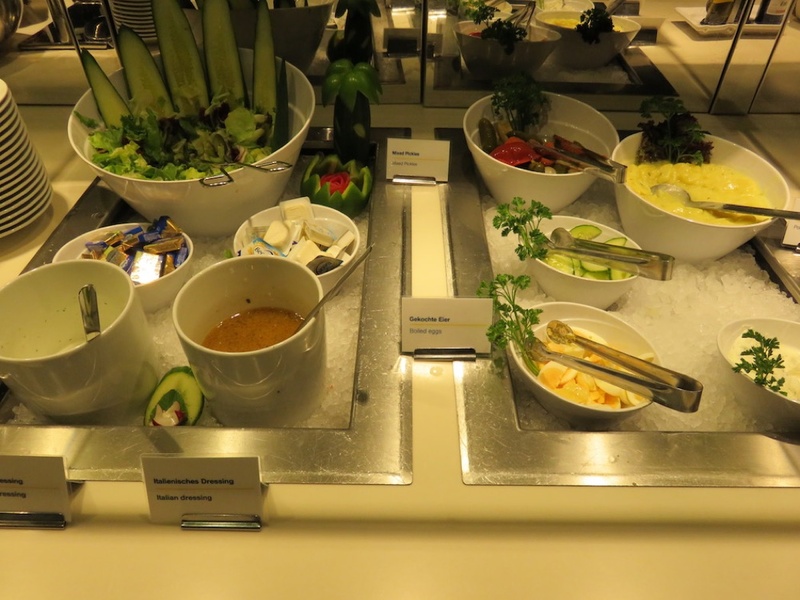 I visited the lounge in the early evening, and the food offerings were quite decent (see pictures). 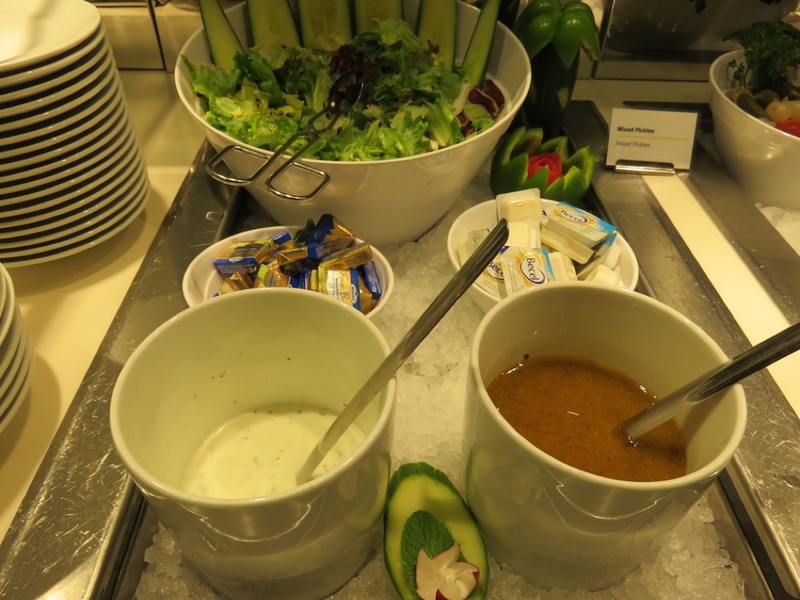 The buffet offered plenty of cold and hot items, such as salads, sandwiches, broccoli cream soup and beef stew to name a few. 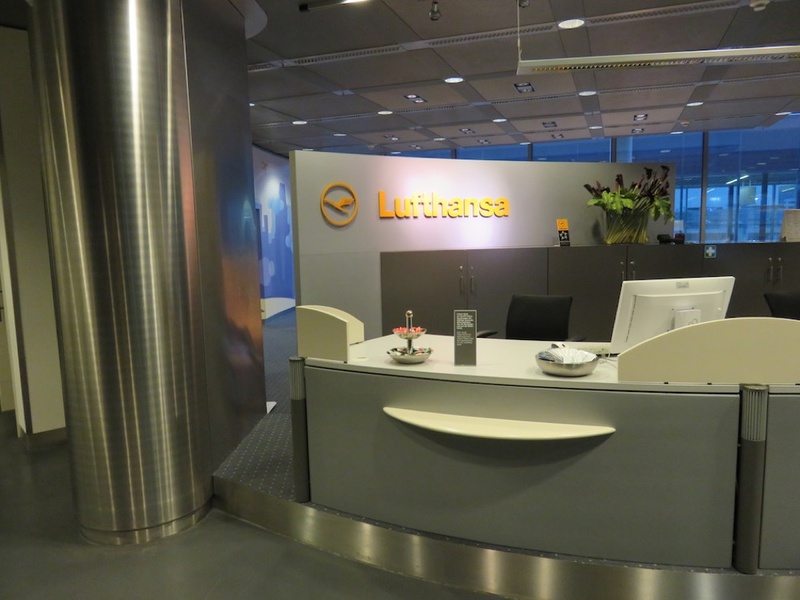 In addition, some Lufthansa staffers walked through the lounge with trolleys and handed out small bites (e.g. 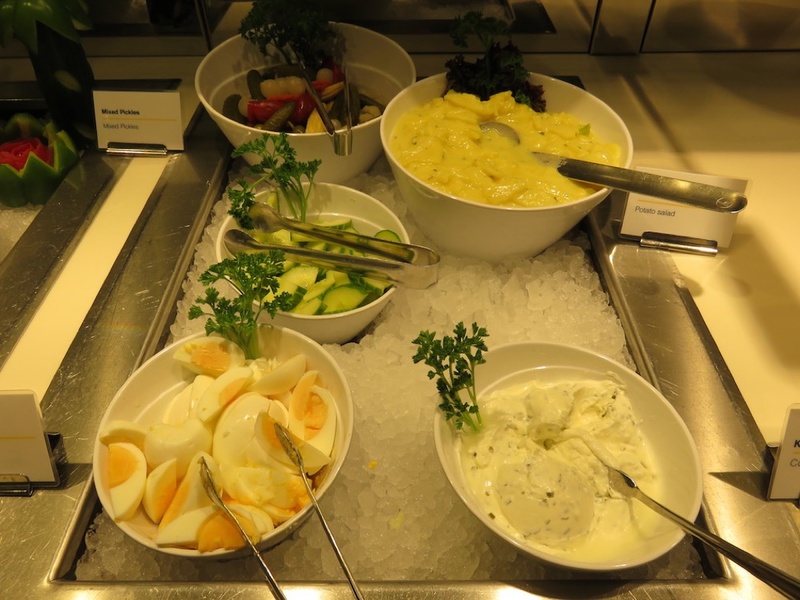 Wiener schnitzels) to guests, a highly appreciated feature. Wine offerings were limited, although there was not shortage of other alcoholic drinks, including German beers. 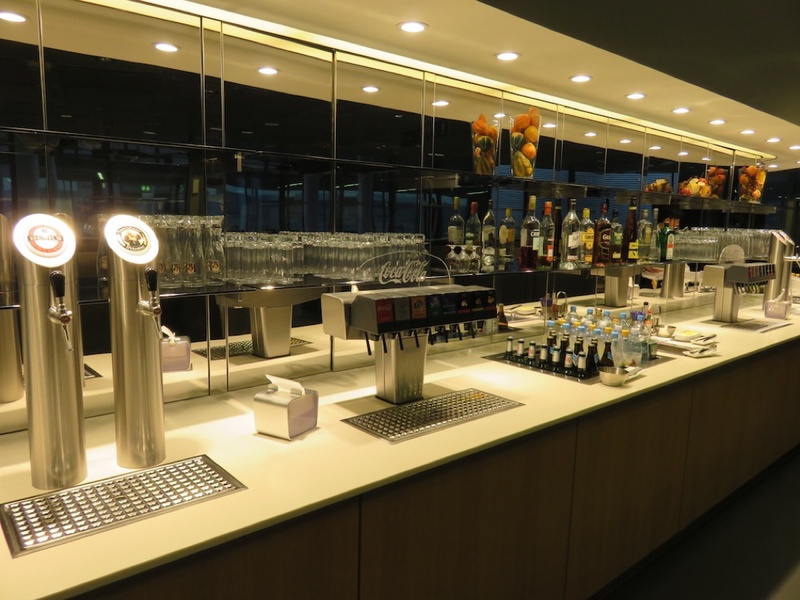 Interestingly, I have also reviewed Lufthansa’s Business Class on the A350 which is the airline you are most likely to take from this lounge. 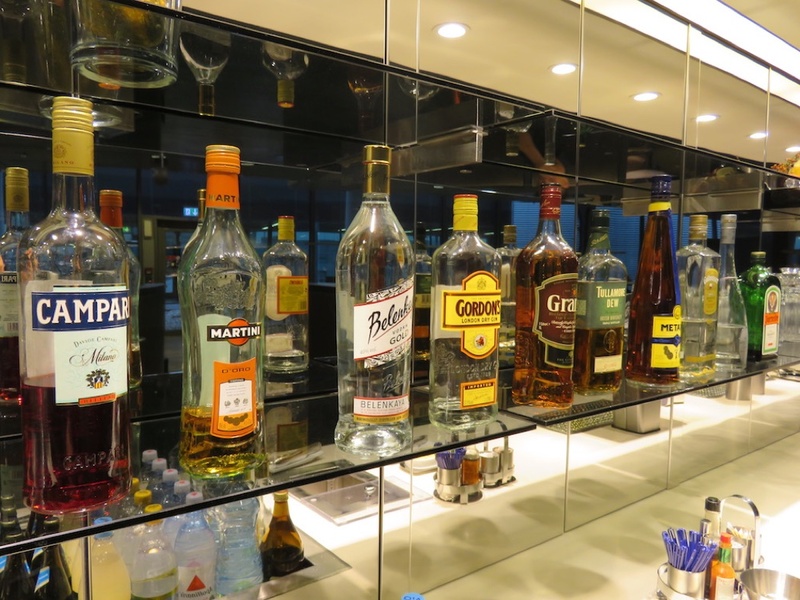 You may also be interested in my top 10 Best Business Class airlines for long haul travel and my comparison of Emirates vs Etihad vs Qatar Airways: Best Airline In The Middle East in my Airline Reviews section.